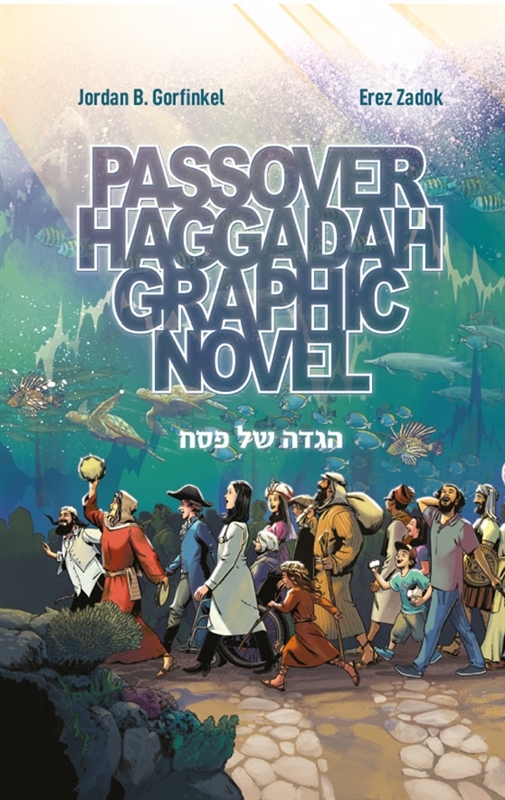 Koren Publishers is proud to announce the publication of the world's first Passover Haggadah Graphic Novel, conceived and written by acclaimed Batman comics creator and Jewish cartoonist Jordan B. "Gorf" Gorfinkel, and illustrated in gorgeous color by Israeli artist Erez Zadok. 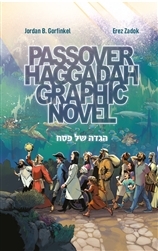 The Passover Haggadah Graphic Novel integrates a brand-new, modern translation into sophisticated and super-fun sequential art that brings the epic story to life. The result of extensive historical and linguistic research, every gorgeous panel imbues the classic narrative with renewed relevance and excitement. The graphic novel pages are presented alongside the unabridged, traditional Seder service text, in Hebrew and transliteration, and accompanied by how to instructional cartoons depicting all of the rituals, as celebrated every year for the last 4000 years in Jewish homes around the world. This historic publication will appeal to family members and guests of multiple generations and diverse backgrounds. After all, aspirational stories of heroes, liberation and hope are universal. And there's no more universal medium for telling heroic stories, one that bridges all cultures, faiths and languages, than the sequential art form of the graphic novel itself a Jewish innovation!